Are you looking to leave a mark in the hall of fame who took down a trophy for the first time? Yes! You need more necessities for bow hunting then a bow to get you started. People who are experienced in bowhunting make sure that they are well prepared for the different tasks on the field. Just because you are a novice in bowhunting, it doesn’t mean that you can’t do anything useful here. In addition to all the bowhunting gear and accessories, you will also need all the safety gears alongside you when you are out there on the field. In this post, we have compiled a list of bow hunting tips for beginners. We will provide you all the details on different gears and accessories that you need for bowhunting and for various other safety reasons. There is a list of some essentials that you need to keep checking before you go. This guide will provide you all the information on what to pick and pack before you leave for bowhunting. So let’s explore a bowhunter’s checklist first! Before you leave for the field you need to make a checklist of all the must-have items for bowhunting. This beginner bow hunting package will enable you to stick to your plan and don’t miss out on anything before you reach the field. If you are a beginner then you need to keep one thing in mind, bowhunting begins with safety and ends on it as well. It is not necessarily dangerous but it will become treacherous if you deal it with ignorance, complacency or negligence. So if you are new to bowhunting then you can also take a course for it that is based on all the safety aspects associated with it. All US states require certification of hunting but some of them do not require certification for the education of bowhunting. You should get it anyway because you’ll be able to bow hunt in different states without any issue. For local wisdom, you can explore your hometown archery clubs and shops and look for the pros of bowhunting. They are a great source of knowledge when it comes to bowhunting. You can also get in touch with the wildlife and fish agencies of your state for bow hunting advice. Why stop there … you can also explore the internet about various concerns regarding bowhunting. There are tons of compound bow shooting tips available online. Don’t be afraid if you want to seek assistance. After taking your initial steps on about how bowhunting works and what are its essentials, it’s time for you to gear up. This is where most of the novices feel pretty overwhelming because there is too much to list down. Don’t worry, take your time. As you get the experience of bowhunting you will get to know what type of accessories you need. Things will begin to come in place. When you are done with both the previous categories then you should start buying from this category. These are also the basic gears for hunting. Up till now you have absorbed all the safety knowledge and assembled the basic gear. 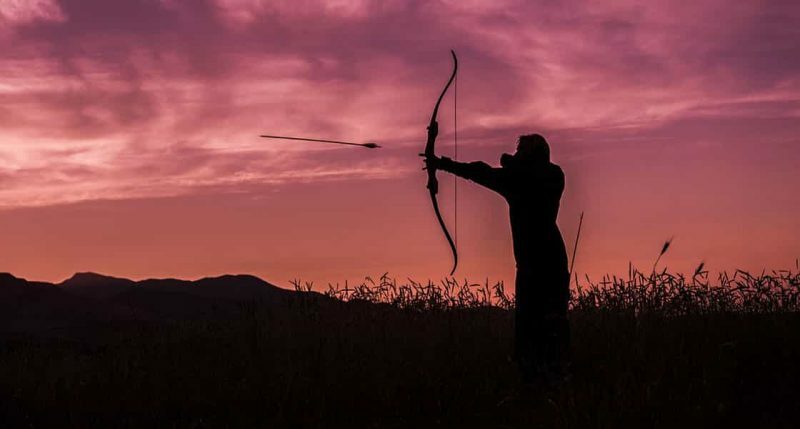 Now, you need to hone your bowhunting skills with the help of a bit of practice. They say that practice makes a man perfect. Well, that’s not the reality. Actually, it should be perfect practice makes man perfect. If you look for quality in your practice session only then you will be able to perform well on the field. When you are on the range, you must focus on all the mechanics that involves shooting. You need to keep in mind that making 10 high-quality shots are far better than breezing through a hundred bad ones. You can also take assistance from a mentor and get through the learning curve quickly. If you want to learn real time then on-field practice is the best. You can shoot 3-D animal targets and shoot them from different angles. Continue to increase your range of comfort. Begin with field points and when the season comes near start using the broadheads. Being a beginner at bowhunting you need to have these items in your arsenal before you head out to the field for some shooting. Safety should be your always first concern in bowhunting. You will be tightly hooked to the stand above the ground and will be secure right from the beginning till the end. It is important because you are able to establish a base for yourself to take your shot with steadiness. You need to wear adequate clothing so that you can conceal yourself from the target with ease. The bowhunting season brings in a lot of elements including snow, winds, and rains. Adequate clothing will keep you ready for any weather condition without any problem. The dependability and durability of these clothes must be top notch. There are different types of camouflages that you can choose for any terrain and species. You need to have a good quality compound bow for your bowhunting practice. Many designs are specifically made for people with different skill sets. The bow designs also offer a variety in terms of adjustability and comfort. You need to ensure that you get comfortable with the bow that you are considering to buy. You need to understand its mechanics and how you need to hold it to get that perfect shot. These are the hunting tools that our ancestors had used for many centuries. In the modern age with technological breakthroughs arrows have also got remodeling. These remodeling and redesigns have assisted the bowhunters for a long time now in making the perfect shots. Before you buy thoroughly check your arrow, its weight, shaft, nock, and other features. Broadheads of the current times are diverse and come in vast range. Manufacturers now spend a long time in designing their broadheads and making them deadlier. New blade configurations are coming and they offer excellent penetration. It will enable you to locate your kills easily with a thick blood trail. If you have a good quality release then you will have a precise shot as well. Selecting an appropriate release is as important as buying a top notch bow. A release is helpful in controlling the flight of the arrow and it also establishes its consistency. You can individualize your release based on your requirements and measurements. If you are able to find a full-capture rest for your arrow then you will feel that you have found the missing piece of the puzzle. Arrow rest is as critical as the shooting potential for your bow, the way you shoot and the type of arrow you choose. A backpack will prove to be your trusty partner when you are out on the field. If you are able to contain things in one place you will not have to search for them later on when you need them the most. Backpacks keep your hands free and all your needed gear is in your quick access as well. At the right time being in the right place is utmost important in bowhunting. You will find that all your gear and accessories turn out to be useless if your target gets a sniff of your scent. Scent control is as important as camouflage because you can hide from two different senses of your target. If you want to lower in big bruisers then attractants are useful. You can use this to attract the strong smelling sense of a buck. With the help of an attractant, you will be able to alert their senses in a way they want the most. Unless you are in the bushes that you know pretty well, you will also need a map and a compass for directions. You don’t want to get lost when going after the target and waste a lot of time finding your way back. Furthermore, you will also need a flashlight because you never know when it is going to get dark. First aid kit is also required in case of any mishaps. All these items are useful if you want to keep everything under control. No matter what the situation is you will keep yourself safe and well on track with these additional items. There is more to bowhunting than just your bow and arrows. You have to be prepared for any type of situation when you are out in the woods. There are many items that need to be on your checklist of necessities of bowhunting if you want to stay in control out there. When buying, most people spend more time on choosing a top-notch bow with high-quality arrows. While there is nothing wrong in that, you also need to keep an eye on other things you might end up needing on the field. One thing you need to keep in mind is that bowhunting starts on safety and it ends on the same as well. If you are a novice then spend some time in the field and you will get better eventually. Practice your aims and keep an eye on all the things you need during your time on the field. Keep the checklist marked on your next visit.